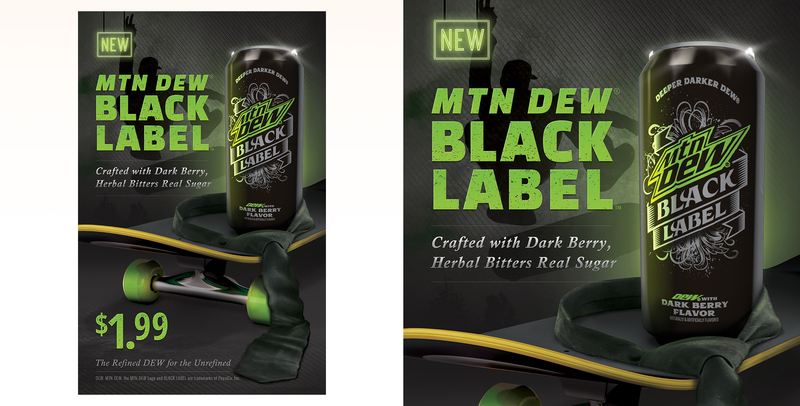 Mtn Dew was launching a new, swanky product - different from the every-day soda. 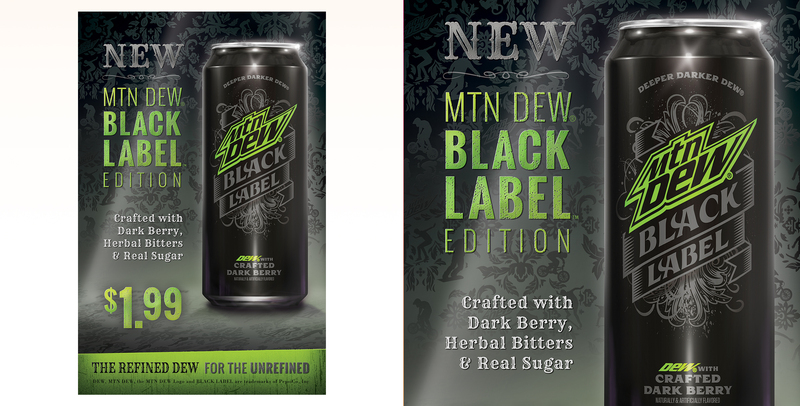 This new drink was called Black Label, and it needed a sophisticated look and feel to bring the right attention to it. Of course, the Dew lifestyle and vibe couldn't be forgotten either. So my challenge was to still include some of what makes Mtn Dew, Mtn Dew and get it feeling like a top shelf beverage. My first approach was to be a little more on the nose, and attempt to visualize a little bit of both worlds. 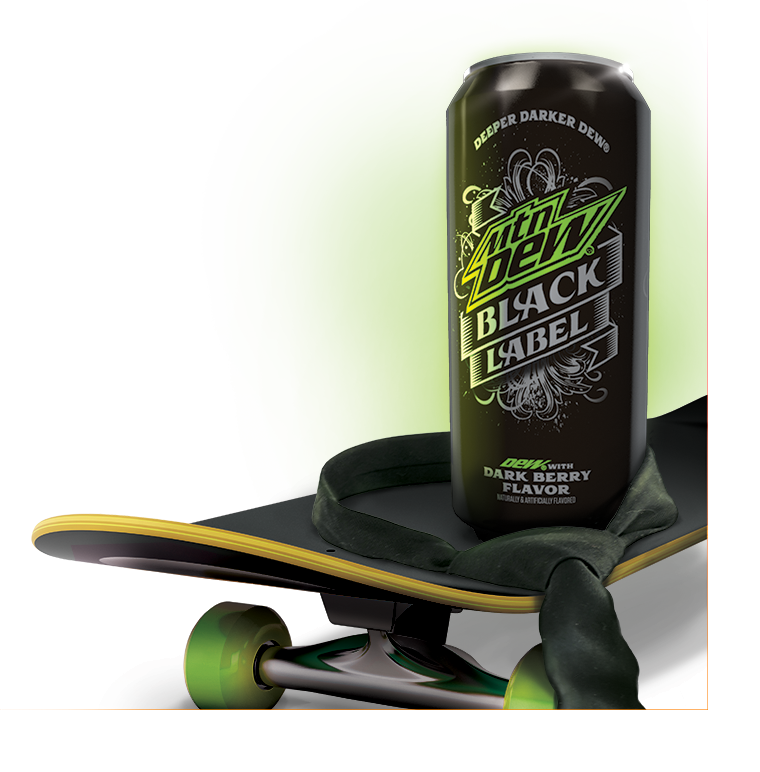 Bringing in a skateboard to really hit home that this is still Dew, but subtly lassoing the product with a tie to suggest that maybe this is something different. This second concept relied more on a textural background that felt like it could of been felt. 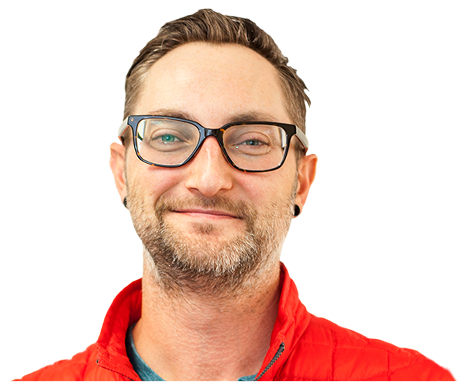 I pulled in a spotlight over the new product and this all started to resemble a bit of a stage production.